Click here to signup with the market leader, IQ Option! First of all you want to avoid rogue brokers where you have to fear to lose your capital or where there are unfair conditions for clearing your bonus in place. Then you need a broker that has the right balance of high payouts and a good customer service. Of course you want to make money in the long term and you need a high payout ratio to achieve this. But the broker must also make money in order to provide its traders good offers and services. So this is a bit of a trade-off decision for the broker. Other factors are the payment methods, the trading platform, the customer service, the website, the available assets and options and much more. Let’s take a look at the various factors that should be considered when choosing a broker. This point should be above everything. What good is the best trading platform or the highest payout if the broker refuses to pay or if a bonus is not credited although he should? Or what if trades with in the money options are cancelled just before they are due? Such cases are fortunately very rare but can happen at the less reputable brokers. They occur especially at brokers that do not have a valid license from a reputable institution. Before you register at a broker you should first look in which country the company is registered. If it is located on any Caribbean island you know immediately that you can forget about taking legal action in case of a dispute, because this would just cost too much money and the chances might not be high to win the case anyway. Apart from that, you should choose one of the major brands in the industry. Such brokers have to lose much in case of a public dispute: their reputation. And the foundation of long-term success for a broker is having a good reputation. Sticking to one of the larger brands significantly reduces the probability that the broker might use unfair methods to maximize his short-term profit. All brokers which are presented on McBinary.com are among these large brokers with a good reputation. High Payout or Good Customer Service? These two criteria are not contradictory, but there are brokers which offer a better ratio of payout and service than others. If the payouts are averaging 85%, but the broker does not offer a good customer service and a trading platform in your native language, or if it doesn’t offer a bonus for new customers and the trading platform is not state-of-the art, then these 85% must be viewed from another perspective. On the other hand, there are also brokers that offer only 75% payouts on average and that also have a non-existent customer service. But it’s usually the balance between payout and service that defines a good broker. That means that a broker has to make a good balance by let’s say offering 80% payouts and offering a great customer services on an excellent trading platform in your native language. There are big brands like Anyoption, 24Option or IQoption which might not offer the highest payouts in the industry but that provide excellent services. This is usually much better than the reverse. To optimize for both the highest payouts and the best services is virtually impossible for a broker. 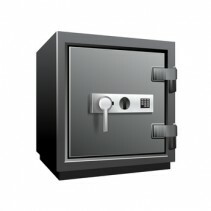 A protection rate is the amound of money that a broker will return to you should your options expire out of the money. This is often anywhere between 5-15% for many brokers and provides a good cushion for traders; acting as a safety net and preventing the complete loss of an accounts value. Those brokers that provide this may be more suited to new traders who may be just getting to grips with risk management and it is an important factor to consider as it can make a substantial difference to a trading account over a period of time. Experienced trader may also be attracted to those brokers offering a higher protection rate as the reduction of losses to just 85% can make the difference between a winning or losing strategy over time. Besides the professionalism and a fair payout ratio there are also other factors that you should consider when choosing a broker. A broker has to make sure that his traders can move their funds from A to B and then back again. It is therefore important that it offers a wide choice of the most common payment methods. That seems to be obvious but unfortunately many brokers don’t offer that. Even some of the largest Binary Options brokers in the market offer only a very limited choice of banking options. This is amazing because in the Forex trading industry (a sector closely related to options trading) many Forex brokers accept payment methods such as Neteller, Skrill, Paypal, Ukash, Paysafecard and others. On the other hand, many Binary Options brokers only offer the bare minimum: bank wire transfers, credit cards and maybe one eWallet service such as Skrill. You have to check the banking options before choosing your broker. Make sure that a broker provides the payment method with which you feel most comfortable to transfer your funds. Unlike, for example, in Forex or CFD trading, little can be done wrong when it comes to the trading platform. The trading of Binary Options is structured so simply and clearly that it really is not hard to develop a great trading platform. While there are a few providers of trading platforms, they basically all look more or less the same except for the color scheme and the way the relevant data is displayed. Beginners will usually not notice big differences between the various platforms, as they are all very similar. The best trading platforms are SpotOption, OptionFair and TradoLogic. However, you should check out the platform by yourself before deciding to sign up at a specific broker. Even if the website does not directly reflect the quality of the broker it is an important signal. A broker with an unattractive website and bad translations (especially if your mother tongue is not English) does not make a serious impression and should be avoided. In defense of such a broker we have to add that many of these companies haven’t been in business for a long time and that they will offer better translations and more languages soon. Because Binary Options trading is still a very young industry, it is not surprising that some brokers have websites that are not quite perfect yet. While a few traders specialize in only a handful of underlying assets for trading Binary Options, many traders like to have the choice from a wide variety of options. Trading only High / Low options can not only become boring in the long run, but also limit the opportunities to make profits. Indeed, there are very good trading days for touch and boundary options, depending on how volatile the market is. Also, not all brokers offer the same amount of underlying assets. For example, some brokers offer only a handful of Binary Options on stocks options, while others cover a wide range of globally operating companies. Many brokers will offer an incentive to entice new traders to use their platfrom. This can range from a cash introductory bonus to e-books and training courses which can be very helpful for anll new traders. The cash introduction is usually in the form of an offer base don the percentage of a first depiosit. Typically this is around 30-50% of the first deposit in to the account and means that traders wil have an injection of extra cash in theri account with which to risk on their first few trades. Alternative, and potentially more valuable bonuses in the long term, can be the offer of access to educational material, including e-books and in-depth training courses proviing traders with the knowledge and tools to make informed trading decisions with their binary options purchases. As you can see there are many factors to consider when choosing a broker. The team of McBinary.com tries to make the choice a bit simpler for you – we have tested the largest brokers and published reviews on our website.